The Special Collections, located on the second floor of the Library, offers the researcher information on Portsmouth and Seacoast Local History and Genealogy. While the collection is primarily focused on materials relating to the city of Portsmouth, the collection also includes some materials related to other cities and towns in Rockingham County, as well as Strafford County, NH, York County, ME, and Essex County, MA. The collection includes published books, city documents (tax records, annual reports, etc. ), city directories, vital records (birth, marriage and death indexes), maps, art work, photographs, historical newspapers and ephemera. The Special Collections staff maintains a vertical file of historical topics, places and names. These files include materials such as: pamphlets, newspaper clippings, magazine articles, manuscripts, family genealogies, photographs, postcards, ephemera, etc. Henry Clay Barnabee Collection – Portsmouth born actor and singer (1833-1977). World War II Records – This collection of 20 files was compiled by the Portsmouth War Records Committee during the World War II years. It includes reports (business, club and organizations), photographs, scrapbooks, newspaper clippings, posters and pamphlets. Art Collections – These include a collection of drawings by Helen Pearson (1871-1949), several works by Susan Ricker Knox (1875?-1959), and notably, two paintings by Russell Cheney (1881-1945), among other artists whose works are owned by the library. The Collection is open to the public for general use during all regular library hours. The Special Collections and Reference staff is available to assist with guiding you through the collection. With the North End House History Project the library staff began experimenting with the digital process and open source software. The goal, as with most such projects, was to increase accessibility to the collections, while protecting the integrity of the original items. Our hope, as we continue to identify interesting items and digitize them, is to also create a dialogue with the Portsmouth community about our shared local history. Please do use the commenting feature to share memories and facts about the items. A Special "Thanks" to the incredible Simmons College, Graduate School of Library and Information Science, interns, and our generous Library Volunteers, for their assistance scanning, entering data, linking images, and creating pdfs! 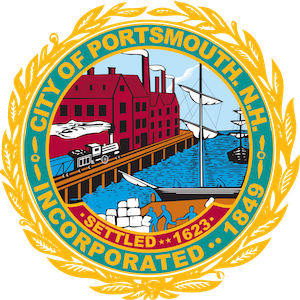 The Staff of the Portsmouth Public Library welcomes any feedback pertaining to this project. We are also interested in hearing from you if you have materials you might like to share. Feel free to email any questions you may have to the project team by clicking here or on one of the above links . If you would prefer to contact us by phone, please call: 603-766-1720.